Yersiniosis is an infectious disease caused by a bacterium of the genus Yersinia . 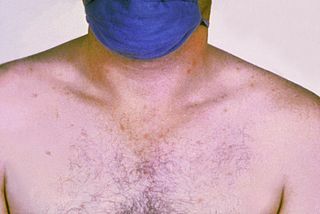 In the United States, most yersiniosis infections among humans are caused by Yersinia enterocolitica . Yersinia enterocolitica is a Gram-negative bacillus-shaped bacterium, belonging to the family Enterobacteriaceae. It is motile at temperatures of 22–29°C, but becomes nonmotile at normal human body temperature.Y. enterocolitica infection causes the disease yersiniosis, which is an animal-borne disease occurring in humans, as well as in a wide array of animals such as cattle, deer, pigs, and birds. Many of these animals recover from the disease and become carriers; these are potential sources of contagion despite showing no signs of disease. The bacterium infects the host by sticking to its cells using trimeric autotransporter adhesins. 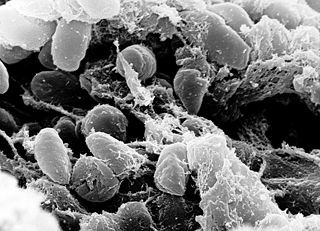 Another bacterium of the same genus, Yersinia pestis , is the cause of Plague. Yersinia pestis is a gram-negative, nonmotile, rod-shaped coccobacillus, with no spores. It is a facultative anaerobic organism that can infect humans via the Oriental rat flea. 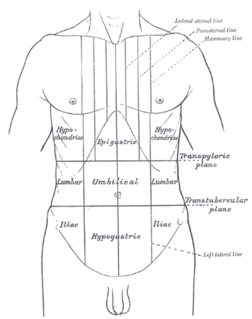 It causes the disease plague, which takes three main forms: pneumonic, septicemic and bubonic plagues. All three forms were responsible for a number of high-mortality epidemics throughout human history, including: the sixth century's Plague of Justinian; the Black Death, which accounted for the death of at least one-third of the European population between 1347 and 1353; and the Third Pandemic, sometimes referred to as the Modern Plague, which began in the late nineteenth century in China and spread by rats on steamboats claiming close to 10,000,000 lives. These plagues likely originated in China and were transmitted west via trade routes. Recent research indicates that the pathogen may have been the cause of what is described as the Neolithic Decline, when European populations declined significantly. This would push the date to much earlier and might be indicative of an origin in Europe rather than Eurasia. Infection with Y. enterocolitica can cause a variety of symptoms depending on the age of the person infected. Common symptoms in children are fever, abdominal pain, and diarrhea, which is often bloody. Symptoms typically develop 4 to 7 days after exposure and may last 1 to 3 weeks or longer. In older children and adults, right-sided abdominal pain and fever may be the predominant symptoms, and may be confused with appendicitis. In a small proportion of cases, complications such as skin rash, joint pains, ileitis, erythema nodosum, and sometimes septicemia, acute arthritis  or the spread of bacteria to the bloodstream (bacteremia) can occur. Aminoglycoside is a medicinal and bacteriologic category of traditional Gram-negative antibacterial medications that inhibit protein synthesis and contain as a portion of the molecule an amino-modified glycoside (sugar). The term can also refer more generally to any organic molecule that contains amino sugar substructures. Aminoglycoside antibiotics display bactericidal activity against Gram-negative aerobes and some anaerobic bacilli where resistance has not yet arisen but generally not against Gram-positive and anaerobic Gram-negative bacteria. Bacteremia is the presence of bacteria in the blood. Blood is normally a sterile environment, so the detection of bacteria in the blood is always abnormal. It is distinct from sepsis, which is the host response to the bacteria. Streptobacillus is a genus of aerobic, gram-negative facultative anaerobe bacteria, which grow in culture as rods in chains. Capnocytophaga canimorsus is a fastidious, slow-growing, Gram-negative rod of the genus Capnocytophaga. It is a commensal bacterium in the normal gingival flora of canine and feline species. Transmission may occur through bites, licks, or even close proximity with animals. C. canimorsus generally has low virulence in healthy individuals, but has been observed to cause severe illness in persons with pre-existing conditions. The pathogenesis of C. canimorsus is still largely unknown, but increased clinical diagnoses have fostered an interest in the bacillus. Treatment with antibiotics is effective in most cases, but the most important yet basic diagnostic tool available to clinicians remains the knowledge of recent exposure to canines or felines. Very little is known about the pathogenesis of this zoonotic pathogen. Pseudomonas oryzihabitans, also known as Flavimonas oryzihabitans, is a nonfermenting yellow-pigmented, gram-negative, rod-shaped bacterium that can cause septicemia (sepsis), peritonitis, endophthalmitis, and bacteremia. It is an opportunistic pathogen of humans and warm-blooded animals that is commonly found in several environmental sources, from soil to rice paddies. They can be distinguished from other nonfermenters by their negative oxidase reaction and aerobic character. This organism can infect individuals that have major illnesses, including those undergoing surgery or with catheters in their body. Based on the 16S RNA analysis, these bacteria have been placed in the Pseudomonas putida group. Enterococcus faecium is a Gram-positive, alpha-hemolytic or nonhemolytic bacterium in the genus Enterococcus. It can be commensal in the gastrointestinal tract of humans and animals, but it may also be pathogenic, causing diseases such as neonatal meningitis or endocarditis. Anaerobic infections are caused by anaerobic bacteria. Obligately anaerobic bacteria do not grow on solid media in room air ; facultatively anaerobic bacteria can grow in the presence or absence of air. 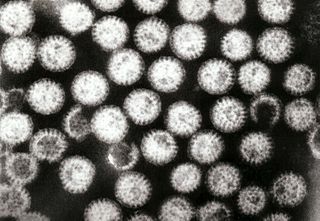 Microaerophilic bacteria do not grow at all aerobically or grow poorly, but grow better under 10% carbon dioxide or anaerobically. Anaerobic bacteria can be divided into strict anaerobes that can not grow in the presence of more than 0.5% oxygen and moderate anaerobic bacteria that are able of growing between 2 and 8% oxygen. Anaerobic bacteria usually do not possess catalase, but some can generate superoxide dismutase which protects them from oxygen. ↑ Jones TF (August 2003). "From pig to pacifier: chitterling-associated yersiniosis outbreak among black infants". Emerging Infectious Diseases. 9 (8): 1007–9. doi:10.3201/eid0908.030103. PMC 3020614 . PMID 12967503. ↑ "Yersiniosis". Medical Dictionary. Retrieved 2013-01-28. ↑ Collins FM (1996). Baron S; et al., eds. Pasteurella, and Francisella. In: Barron's Medical Microbiology (4th ed.). Univ of Texas Medical Branch. ISBN 0-9631172-1-1. (via NCBI Bookshelf).